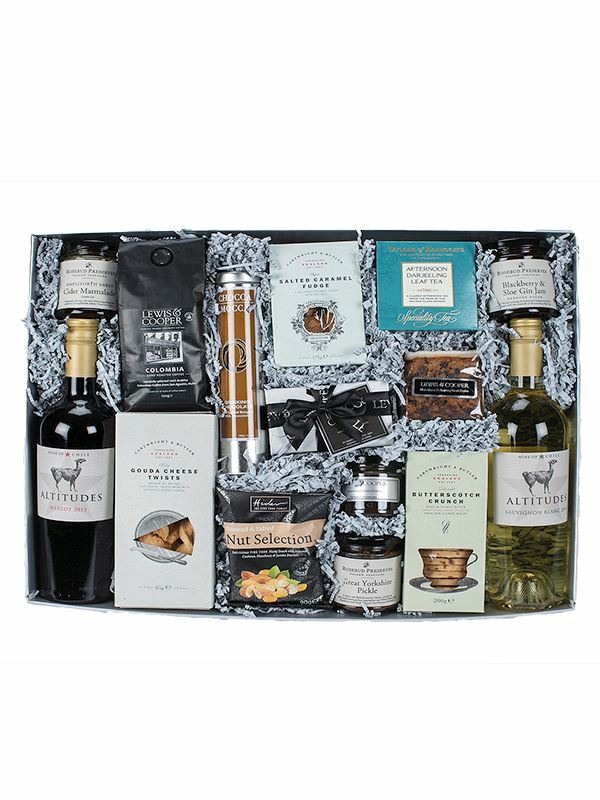 This food hamper was put together by one of our Directors, Victoria, and contains a collection of our best gourmet foods. Featuring a lovely selection of wines, preserves, chocolates and handmade goodies. This hamper is presented in silver gift box with clear lid, finished with a black satin ribbon and gift tag for your message. 1 X Lewis & Cooper Luxury Iced Fruit Cake Piece 250g Approx.